There are various ways you can share your form with intended users inside and outside your organization. 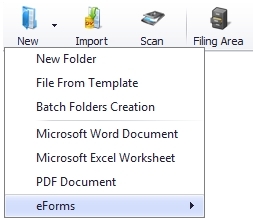 You can share forms with specific users or groups in your organization. All users and groups who are added to the visibility box in the security tab of a form will be able to view and submit that form directly from within their desktop and web client applications by selecting New > eForms > menu. 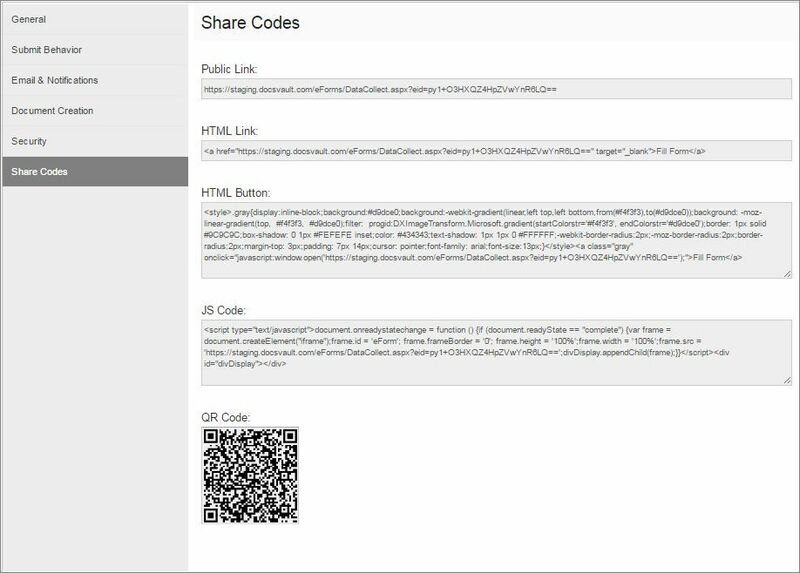 To share your forms outside with third party users, simply copy a direct URL to the form or use one of the various code snippets from the Share Codes page that suits your requirement. Public Link: Every form has a unique permanent URL. You can share your form link with your internal users or make it public. View the form in the browser by pasting this URL in the address bar. HTML Link: This snippet will create HTML hyperlink. You can embed this code on your website if you need to make this link clickable. HTML Button: This snippet will create clickable HTML button linked to this form. You can change the button text to suit your requirement. QR Code: You can publish your form QR code on any of your printed collateral. Your respondents can simply scan this QR Code with their mobile devices to access the form without having to type the actual URL.